I have known Dana & Joe for many years, even before they were a “thing”. So once the 2 of them started dating I was beyond thrilled that such great, kind people found one another. 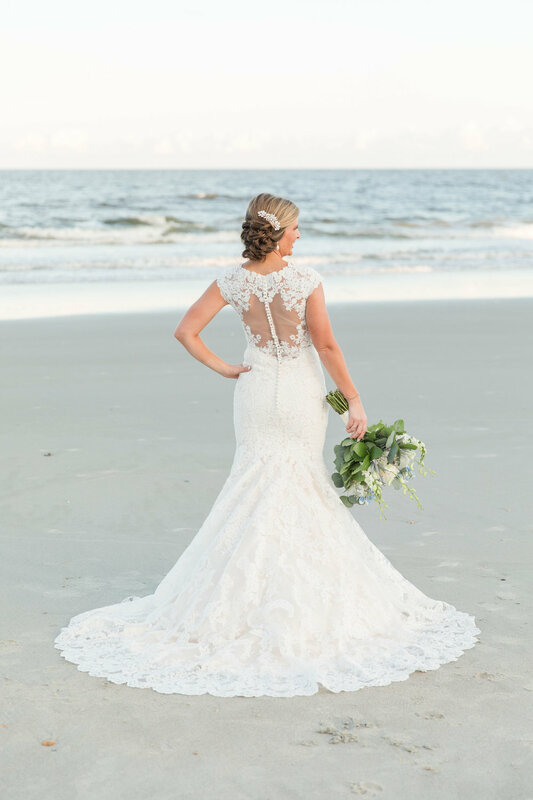 Even more thrilled when they got engaged and asked me to be their wedding planner for the beautiful beach wedding in Murrells Inlet, SC. 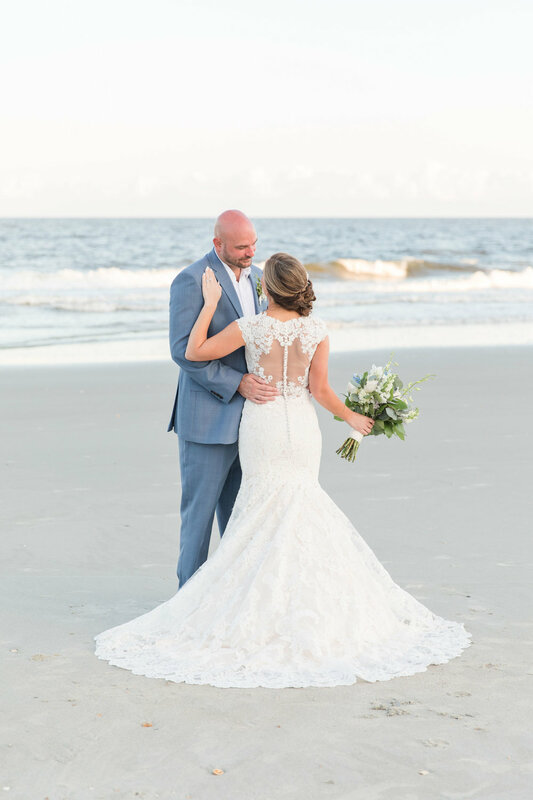 They chose a stunning blue oceanfront home to host their wedding weekend of festivities. 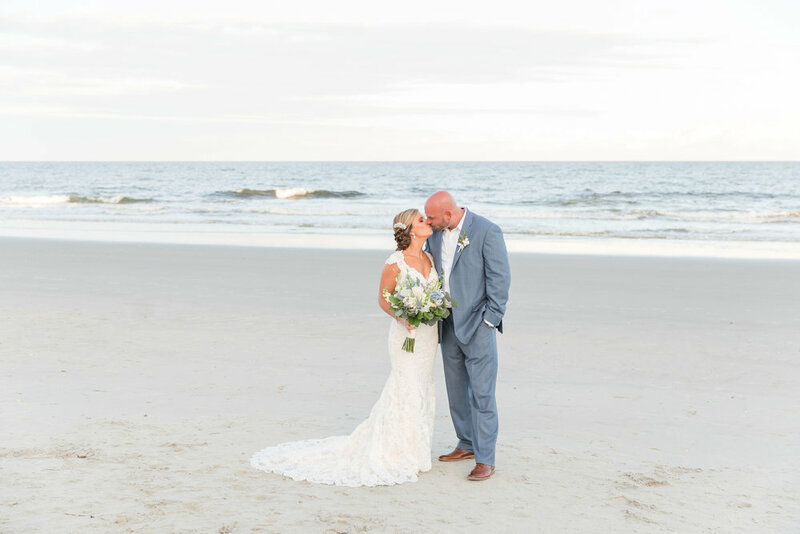 The beach was in their backyard and the perfect setting for the ceremony followed by a fun, cocktail style reception on the pool deck. 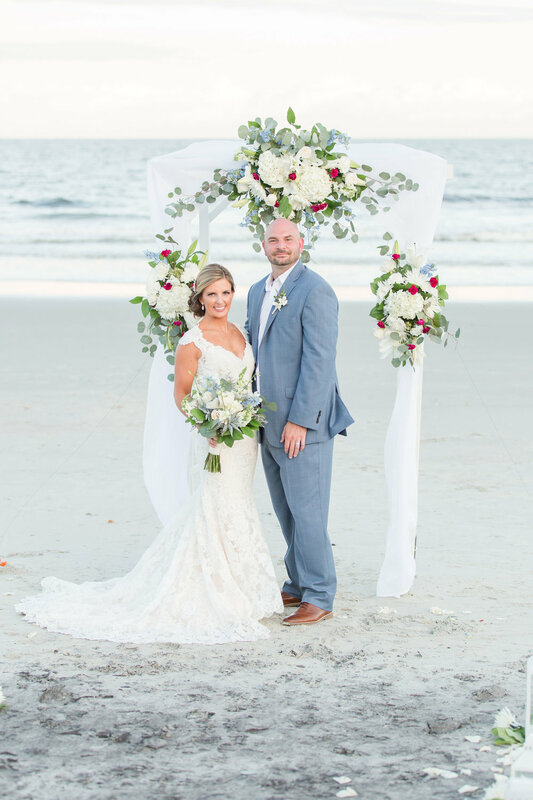 Dave Bryant and his team of designers created floral arrangements with pops of dusty blue and burgundy to hug the arbor and float in the pool. Inlet Affairs catered unique stations with themes such as Asian, Mexican, and Southern foods including an oyster bar! 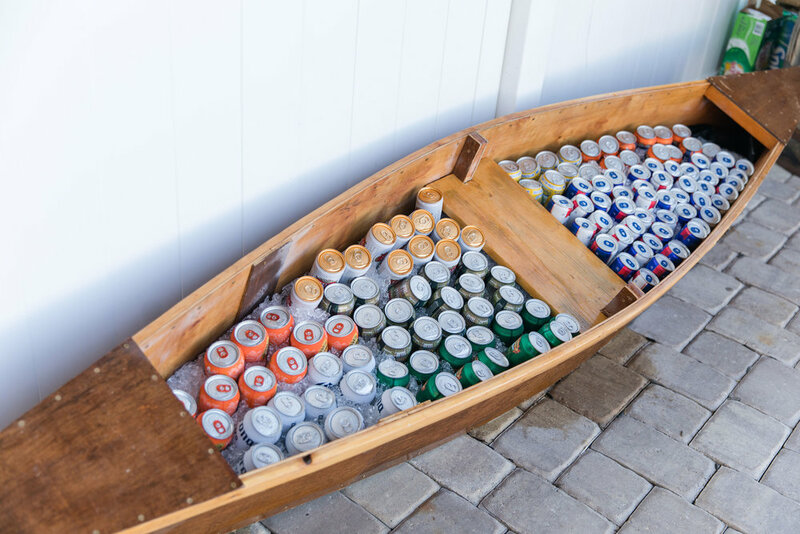 They also brought in a vintage wooden boat to house some of the alcoholic beverages. Pink Pineapple Cakes created a custom 3-tiered red velvet cake, my favorite! 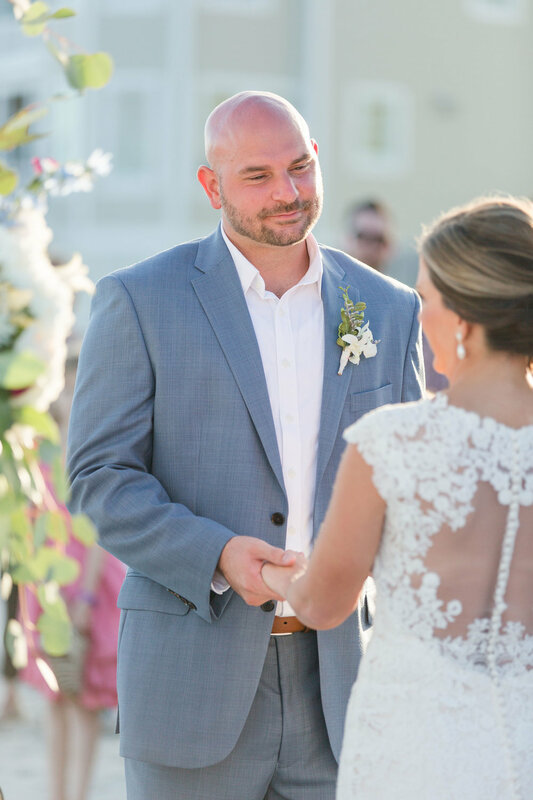 Dana & Joe were surrounded by 75 of their closest friends and family to really make this day feel so intimate and special. They ended the night dancing and jump-roping to tunes from DJ Chad Smith, of Wicka Productions. Mr. & Mrs. Keip, I wish you all the best of luck & love forever. 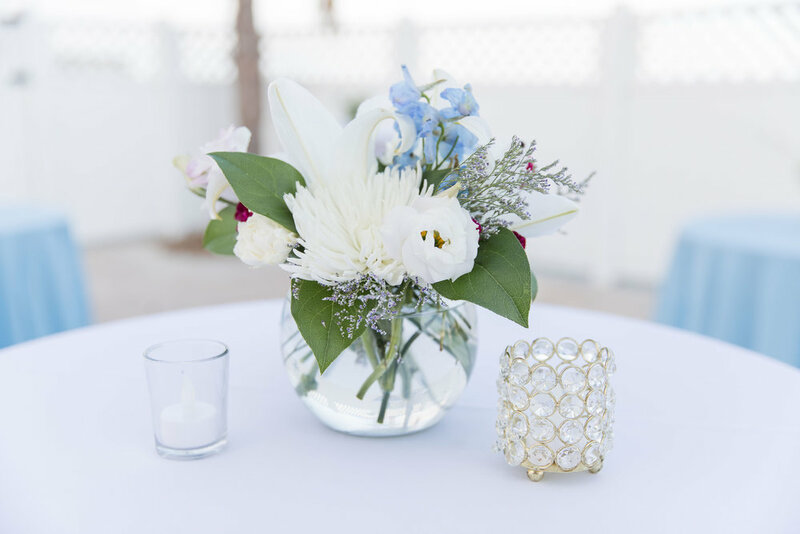 Thank you for having EBS a part of your special day!